Dictator for Life Abbas: "Any aid for Gaza must go through me first"
Mahmoud Abbas, the dictator of the Palestinian areas in the West Bank, gave a speech on Saturday where he warned that all aid that goes to Gaza must go through his corrupt government first. Speaking at the closing session of the Palestinian Central Council meeting, Abbas once again criticized Hamas for not acceding to his rule and said "any money and aid coming to Gaza must come through the legitimate Palestinian government." Abbas' government has reduced medical supplies, electricity and salaries to Gazans in the past 18 months. The world media has largely ignored the fact that Israel has been trying to help Gazans far more than their purported leader. There are reports today from Israeli security sources that Abbas plans to increase his sanctions on Gaza while pretending that he can be trusted to take care of his people there. Meanwhile, Saeb Erekat warned that any truce between Israel and Hamas - being worked on by Egypt over the past few weeks - would "destroy the national project." The cynicism displayed by the PA would be breathtaking if it wasn't so routine. 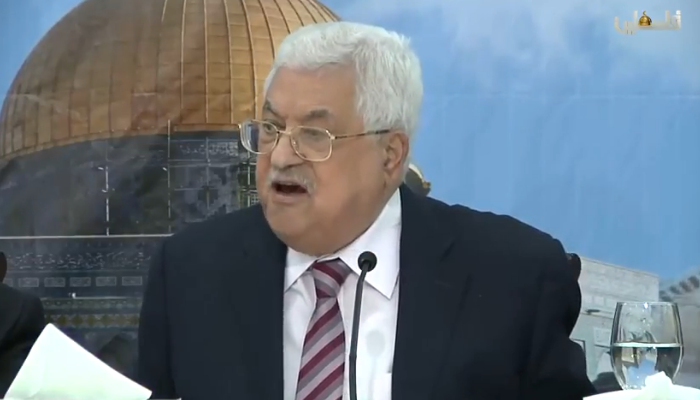 Abbas knows by now that the world media and governments will continue to give the PA a pass no matter what it does. They all have an interest in pretending that Israel is to blame for any problems in the territories, and Palestinian infighting - quite obvious in all Arabic media - must be minimized in articles and speeches.